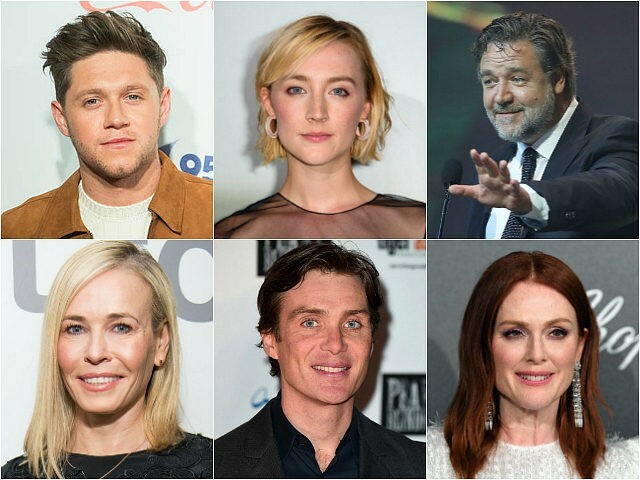 Chelsea Handler, Courtney Cox, Emma Watson, Niall Horan, Russell Crowe, and Saoirse Ronan are among the stars that have leveraged their influence to support the cause. They join others like America Ferrera, Elizabeth Banks, Julianne Moore, Kate Walsh, and Sarah Silverman in making a public statement in support of access to safe abortions. “Women who find themselves in crisis pregnancies, be it a scared 15-year-old who’s been sexually abused or a terrified woman who has been raped, are forced to carry the pregnancy to term,” the video says. “Two women or girls are taking abortion pills unsafely every day. They risk so much, with no medical support, and the threat of up to fourteen years in prison.” The video also references fetuses with fatal abnormalities and “no chance at life” that nonetheless must legally be carried to term. Abortion was added to Ireland’s constitution in 1983 with the 8th Amendment, which guarantees “the right to life of the unborn.” But many are referencing the tragic death of Savita Halappanavar, who lost her life due to complications of an impending miscarriage that was allowed to progress and became septic because there was a fetal heartbeat. Hashtags like #RepealThe8th and #HomeToVote have been trending on Twitter, drawing wide reactions — predominantly in support of the change. As of the time of this writing, the vote is almost over, but the results remain uncertain.